Providence, R.I. – March 28, 2018 – Johnson & Wales University (JWU) has completed a purchase and sales agreement for its hotel property located at 2081 Post Road, Warwick, R.I., including the land and building that houses Legal Sea Foods, to Pinnacle Hotel Management, a Florida-based developer, for $7.5 million. The new ownership and management of the hotel and property was officially transferred from JWU to Pinnacle on March 1, 2018. “Since we first purchased the Warwick-based hotel, the university has been able to greatly expand the experiential education offerings available to our students which have resulted in many career and employment opportunities for them,” said JWU Vice President of Auxiliary Services Michael Downing who also has been serving as interim general manager of the Radisson Hotel Providence Airport. “After thorough review and consideration, we determined that divestment of the property was in the best interest of the university to support our mission to provide an exceptional education for our students. Although the university was not seeking to sell the hotel and property, late in 2016 it was approached by a local hotel developer with an offer to purchase the 7-acre property across from TF Green Airport in Warwick. Although an agreement could not be reached with that developer last year, Pinnacle had also come forward to express its interest in the property. 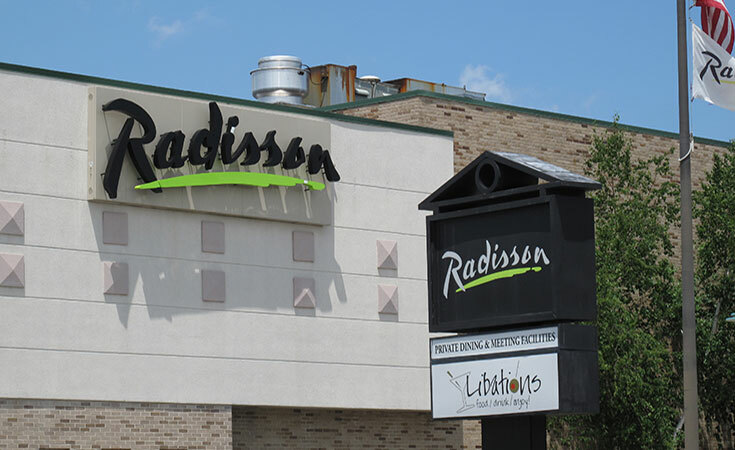 Pinnacle Hotel Management, which has more than 35 hotels in its portfolio under the Marriott and Hilton flags, has successfully sought approval from the Radisson Hotel Providence Airport’s parent company to continue operating the hotel as a Radisson property. As a condition of the sale, Pinnacle will honor all contracts, including pricing, for upcoming events already scheduled at the Radisson Hotel. Formerly known as the Yankee Motor Inn, JWU purchased the Warwick property in 1978, renaming it the Rhode Island Inn – Johnson & Wales Hospitality Center. Since 1994, it has been operating as a Radisson hotel. Founded in 1914, Johnson & Wales University is a private, nonprofit, accredited institution with more than 14,000 graduate, undergraduate and online students at its four campuses in Providence, Rhode Island; North Miami, Florida; Denver, Colorado; and Charlotte, North Carolina. An innovative educational leader, the university offers degree programs in arts and sciences, business, culinary arts, design and engineering, education, health and wellness, hospitality, nutrition and physician assistant studies. Its unique model integrates arts and sciences and industry-focused education with work experience and leadership opportunities, inspiring students to achieve professional success and lifelong personal and intellectual growth. The university’s impact is global, with alumni from 124 countries pursuing careers worldwide. For more information, visit www.jwu.edu.